There are many social networks available to mobile users, but Tittat distills the concept of a social network down to one of its component parts: gossip. 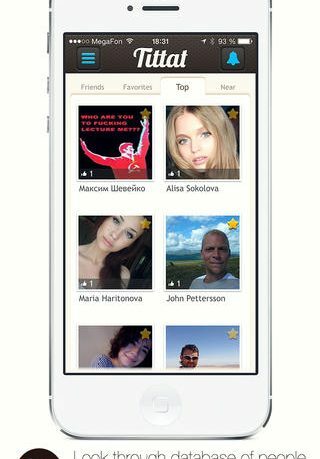 Tittat, available for iPhone and iPad through the Apple iTunes App Store, is an interesting take on social networking, as most of the time you will be speaking about other people, with or without them knowing. Now that may sound sinister, but let’s be honest, this is what most people do on Facebook and Twitter. Tittat is just being open and honest about it. You can even import friends from the big networks which gives you a boost right away. One thing to note is that you could be listed on this app whether you are aware of it or not, maybe this is something the developers need to take a look at, as there could be privacy concerns. 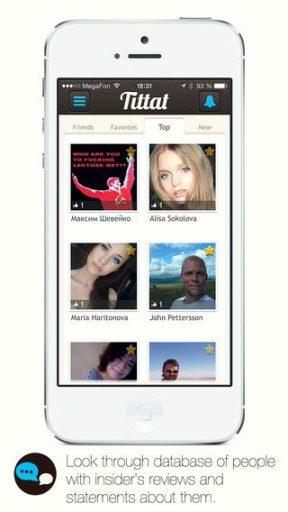 The app itself is very attractive and easy to use, and if you have ever used a social networking app before, you will be right at home here. You can write reviews about people(be nice! ), and see and share what everyone else has to say, and you can even find gossip locally by using one of the many functions within the app. Overall, this is a very different social app, but one that I am sure many users will enjoy and will love a bit of chat away from the other networks.